The head of the dragon welcomes us as we enter the Chinatown gate. 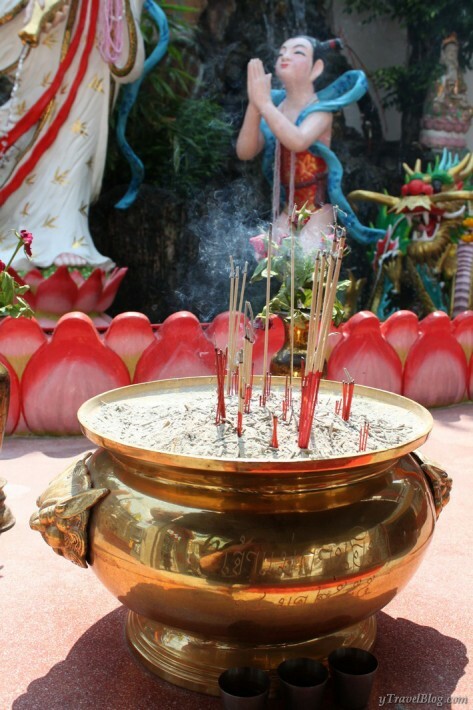 I’m hoping it sprinkles us with an extra dose of luck – it is the year of the Dragon after all. We’re on the busy 1.5km Yaowarat Road which weaves through the heart of Chinatown, Bangkok, creating the figure of a dragon on it’s way through. Craig and I lived at the Golden Mountain on the outskirts of Chinatown. Despite living so close, our exploration was limited to a quick walk down to our favourite food stall of an evening for take away noodle gravy wrapped in butchers’ paper. Chinatown is full of unexpected surprises like that. 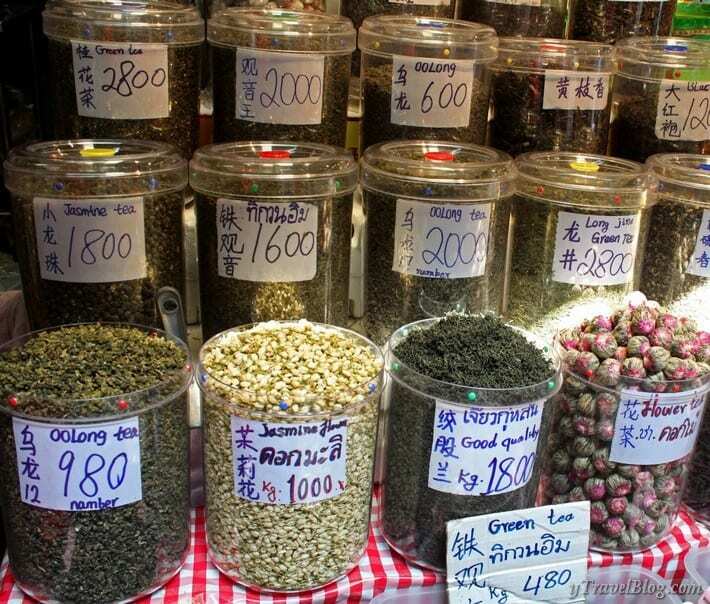 I was looking forward to what I would discover with my fellow Friendship to Friend travel writers, on our walking tour through the food markets of the dragon’s body, down to the quieter walking streets of its tail resting in the Chao Praya River. 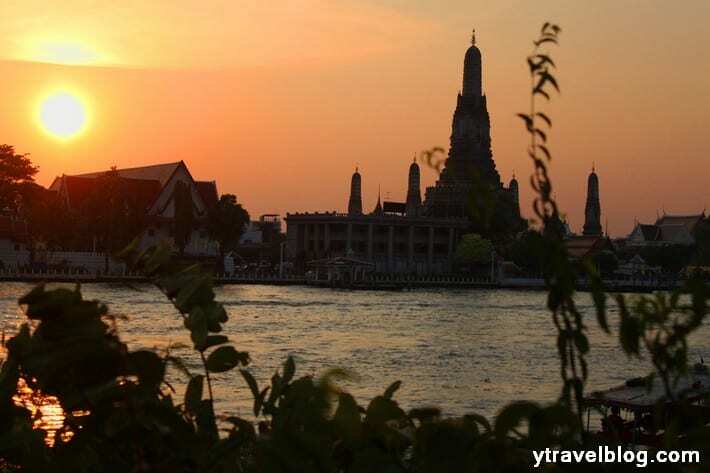 Have you experienced the chaos and peace of Chinatown, Bangkok Thailand before? Chinatown buzzes with frenetic activity which can overwhelm and frighten you if you don’t just let go to accept and embrace the madness. 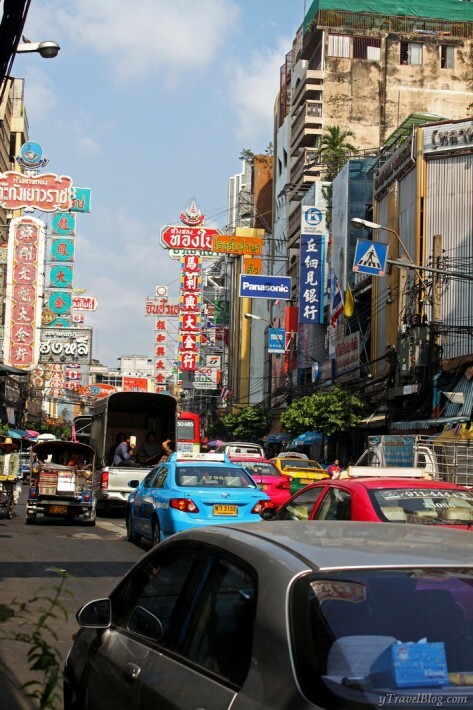 The heart of Chinatown is not spared the chaos of Bangkok traffic. We step out amongst the chaos, my Thai friend steering my elbow protectively, like I am her five year old daughter. I remember this is the Thai way and exchange my independence for gratitude. We cross to enter into the labyrinth of alleyways that is the dragon’s belly. The place of food and trade. Even in the tiny lane ways vehicles and people struggle to push through the crowds to purchase their goods for their restaurant and store needs, or simply for the family meal this evening. 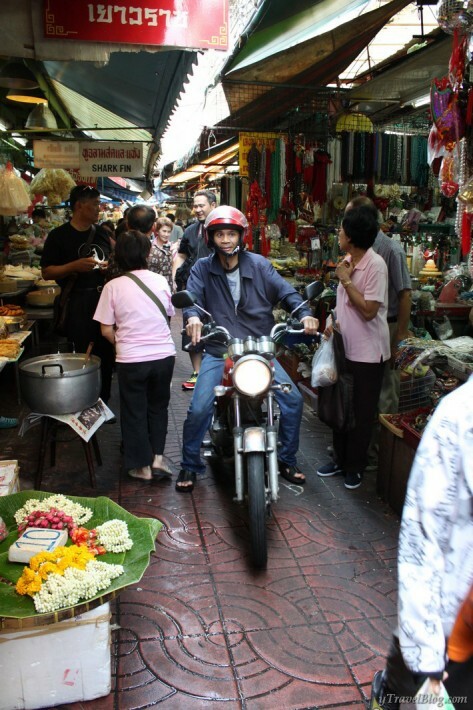 Bikers balance with two feet on the ground move their mopeds through the alleyways bustling with locals buying their wares, ogling tourists, and cyclists tooting their whistles to make way for their overloaded bags of ice. 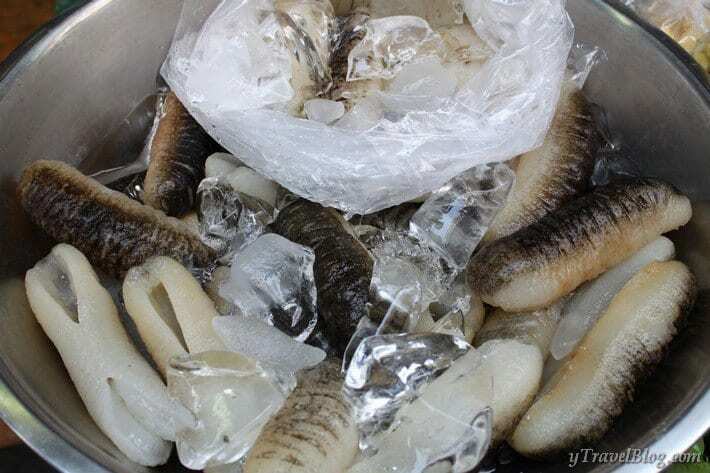 We continue to slow down the frenzied beat, jarring movement to take photos tubs of tea, controversial shark fins, bowls of phallic sea cucumber, whole fish in iced buckets, and fruit with bees crawling all over them. Flies devour the tofu that sits waiting for a happy eater to later devour it. Lowering the lens with an apologetic nod we move turn right down another side street to move to the next photo opportunity. The next laneway glows in red. Rows of Chinese lanterns and lucky tokens hang from the steel poles of the plastic roofs of the stalls. 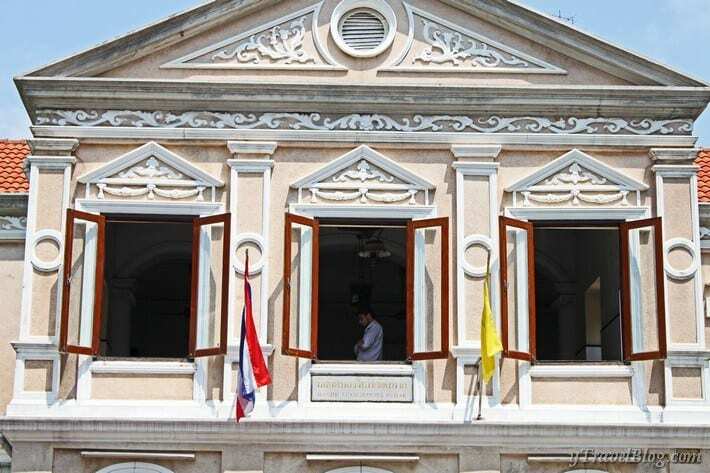 The magic lies in the exploring one of the oldest areas of Bangkok. The belly of the dragon is full and pulsating and after the heavy jostle through the crowds it was time to start eating it the food surrounding us. If I had of been on my own I would never have found my way out of the market maze to an eating place. The dragon’s luck remained with us in the shape of David Thompson, our expat local guide for the day. Australian born Thompson owns the world famous Michelin-starred Nahm restaurant in London and The Metropolitan on South Sathorn Road, Bangkok and is an expert on Thai food. 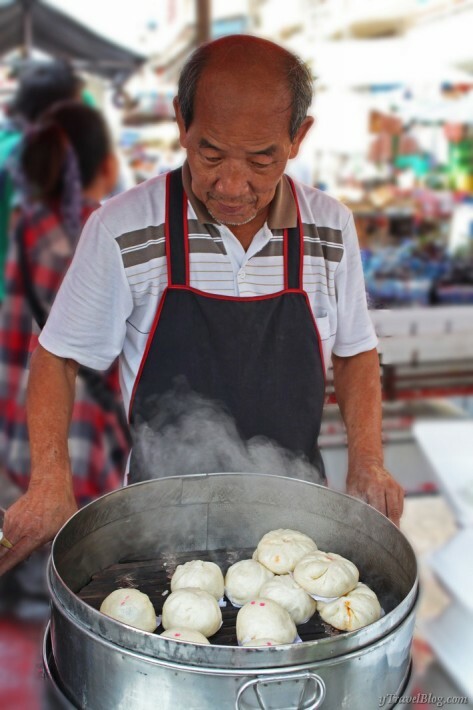 He offered to show us the back roads of Chinatown, a place he loves to go to buy products for his own restaurants, to discover what lies in her hidden back alleyways and to come in the early hours of the evening for a feed at any one of the restaurants that never sleep. 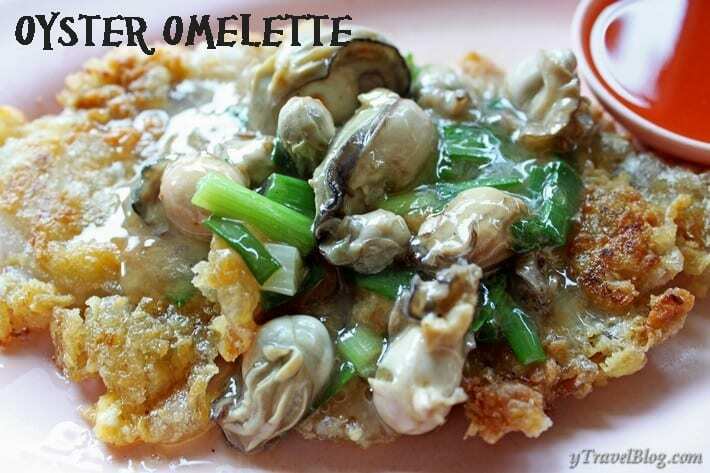 The right place was one of his favourite Chinatown dishes, an oyster omelette. 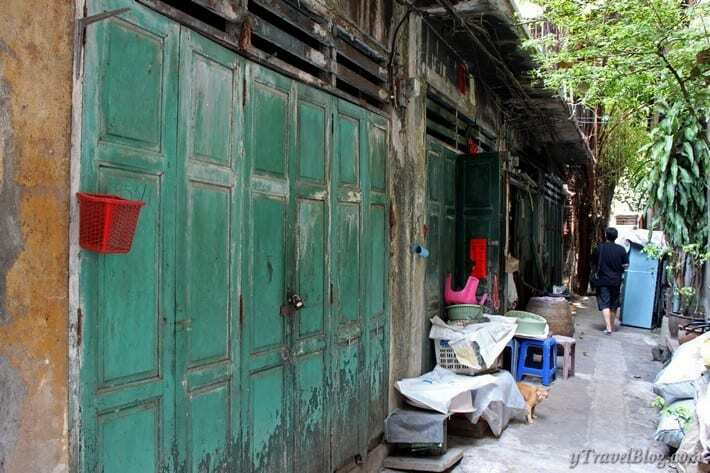 He leads us to an unassuming hole in the wall, Nai Mong Hoi Nang Tort at Talad Gao. 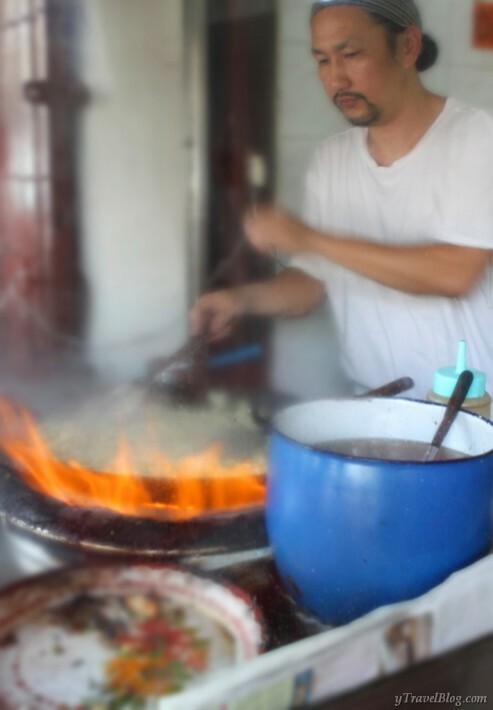 The chef stands over his wok at the entrance to the small resturant, the oyster omelette shrouding him in a haze of smoke. He reaches for the eggs, cracks them and starts the process of creation again, never breaking his rhythm to stop and smile or talk. I like an oyster or two, and an omelette once or twice a year. The omelette was stuffed with oysters and garnished on top with another handful. The chili sauce did little to tone down the overbearing flavour and I turned to my sprite to help wash it down. I was happy to leave and continue walking through the dragon’s belly, under the electrical wires that dangle across the streets like strings of spaghetti. A white-robed nun sits outside the wall of a Chinese temple squashed in the small alleyway. The tables of the food stall hugging the temple walls are filled, no one noticing the nun nodding with sleep and nearly toppling off her chair. An elderly man pushes me “keep walking huh” he rasps rushing to a spare space in the corner behind me hocking up his clogged chest onto the ground. Spitting, hocking up, and smoking over the bags of food is a common sight and sound. I stand on the street taking a photo of an old Chinese building opposite. A car waits patiently for me to finish so he can move on. There is no honking of the horn, no middle finger or head leaning out the window calling me a nasty name as you would hear within two seconds in Australia. People have learned to live with the chaos and to make space for everyone in their lives. There is a rhythm of consideration and peace that people in Bangkok gently move through. The fullness of the belly soon spews us out into the tail. The street is much wider with cars passing by only now and then. I relax with a sigh. 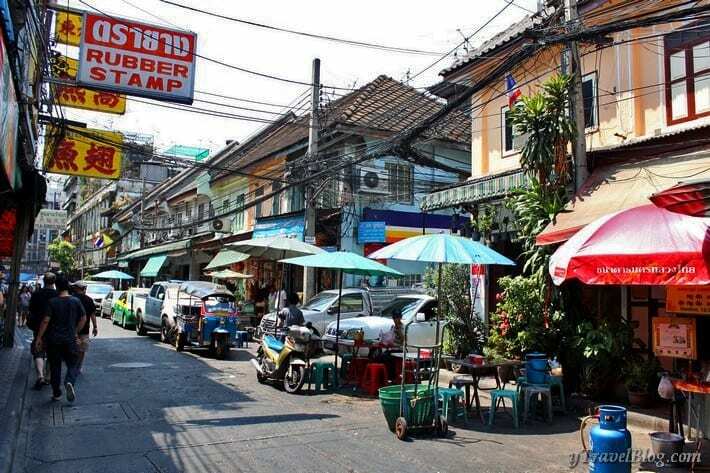 It is Sang Wat St, one of the oldest streets in Bangkok. 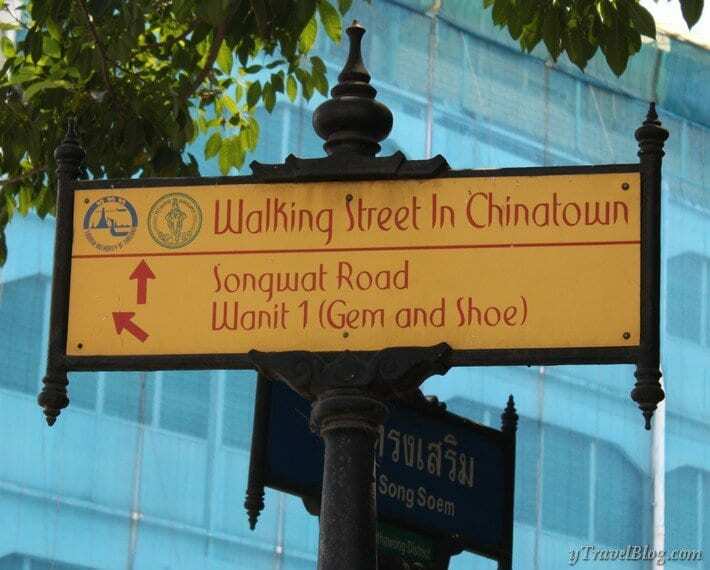 Signs point to walking street and I wonder if that is where we came from, where we are going, or where we now are. The air is much freer here. There’s no fear of being run over by a motorbike or hocked up on by a phlegmatic elder. David takes us down side streets that have laneways running off them; places I’d never find without our guide or the willingness of my feet to get lost. 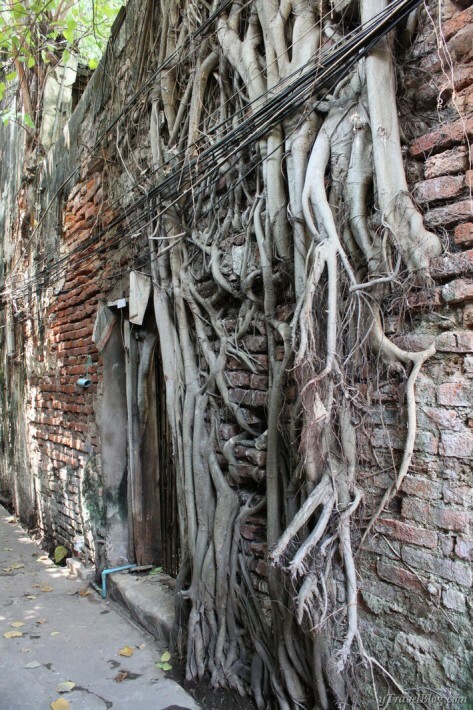 Down a small alley lies an ancient crumbling building; gnarled and knotted roots of trees ensnare it trying to lay reclaim the land that was once their own. Chanting prayers ring out over the fence. Our gaze turns up to a window of the modern white building behind it; bodies stand and then drop in unison with the calls of worship. I forget it is Friday, the Muslim Holy Day, and that I am a woman in short shorts. I wander around the back of the mosque to explore the cemetery and tranquil gardens behind it. My senses return and I scurry back out on the street before my luck diminishes, bowing my head apologetically to the men washing their hands outside in preparation for their Friday salah. 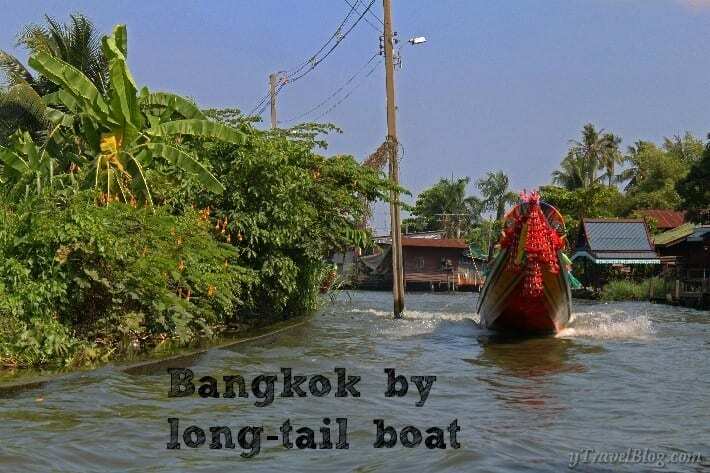 The chanting slowly dies away as the tail of the dragon flicks us to the river, the end of our walk exploring the Bangkok dragon. Chinatown bustles with diversity and the richness of living. 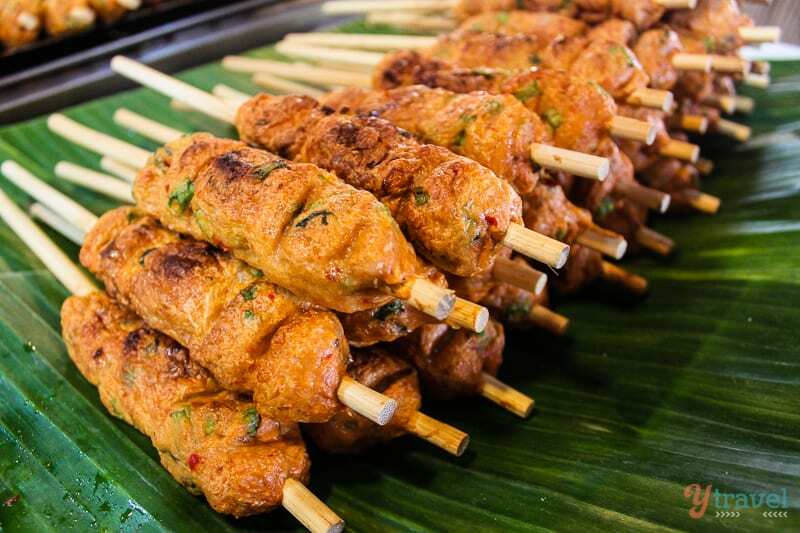 It’s an explosion of sensory discovery and an area of Bangkok that offers a different insight into the depths of the Thai culture. I really like the building with the exposed brick and roots growing down the side, it has such character. I’ve never given Chinatown enough time to enjoy it properly. 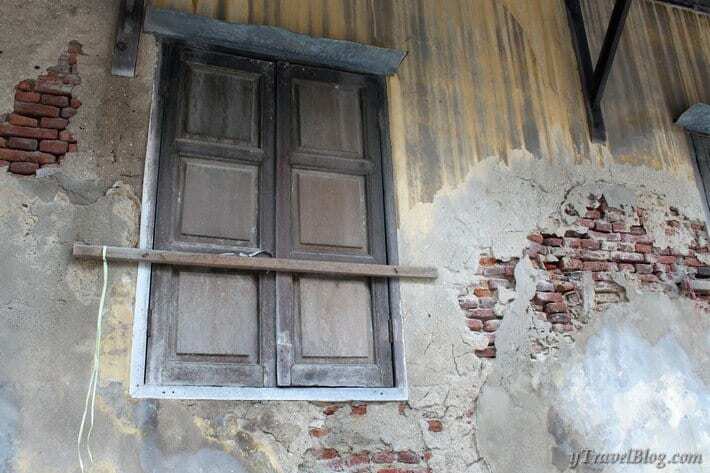 I will have to take some time to explore next time I am in Bangkok. Looks like a fantastic tour! Great write-up too. 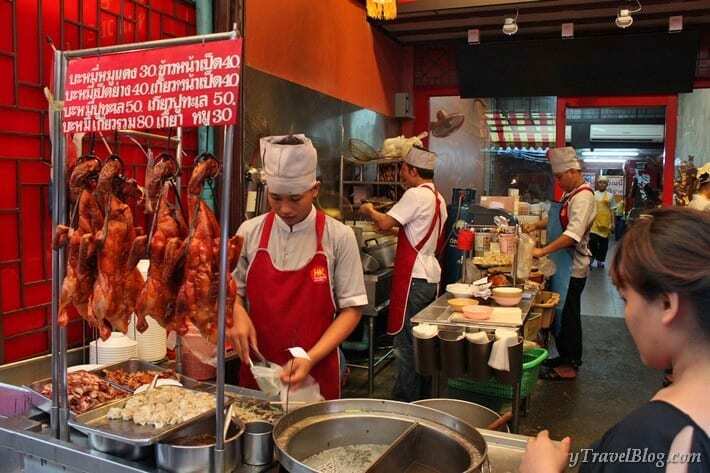 When you’re next in Bangkok let us know, we’d love to show you some more of the City, maybe our Chinatown food tour? 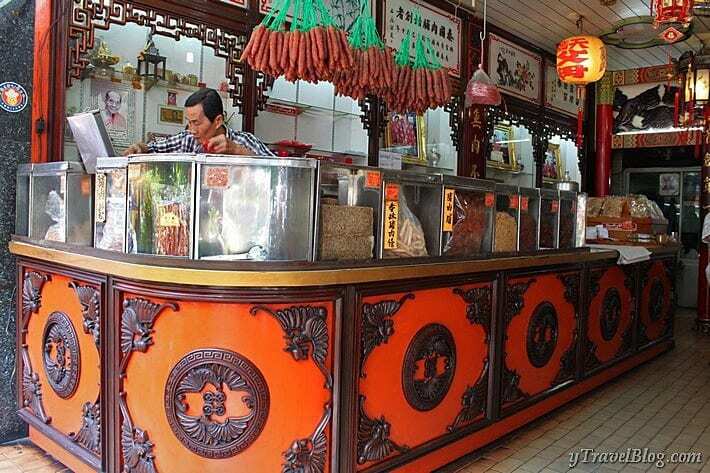 can you please mention where one can find vegan food in chinatown or restaurant name ? ?